Imagine you are Poseidon at the dawn of the twenty-first century. The oceans are dying and sailors have long since stopped paying tribute. They just don't need you anymore. What do you do? Perhaps, seeking answers, you go exploring. Maybe you end up in Wisconsin and discover the pleasures of the iced latte. And then, perhaps, everything goes wrong. Anders Nilsen, the author of Big Questions and Don't Go Where I Can't Follow, explores questions like these in his newest work, a darkly funny meditation on religion and faith with a modern twist. Rage of Poseidon brings all the philosophical depth of Nilsen's earlier work to bear on contemporary society, asking how a twenty-first-century child might respond to being sacrificed on a mountaintop, and probing the role gods like Venus and Bacchus might have in the world of today. 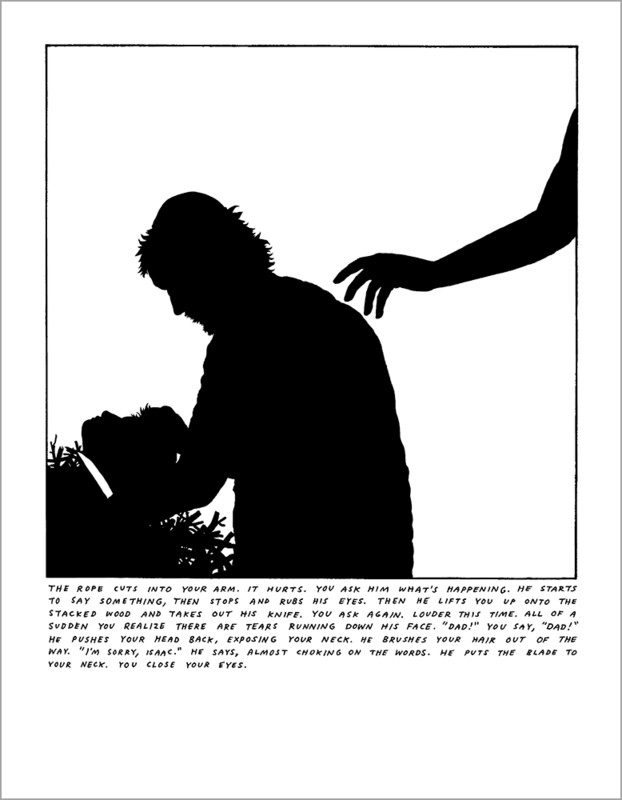 Nilsen works in a unique style for these short stories, distilling individual moments in black silhouette on a spare white background. Above all, though, he immerses us seamlessly in a world where gods and humans are more alike than not, forcing us to recognize the humor in our (and their) desperation. Rage of Poseidon is devastating, insightful, and beautifully hewn; it's a wry triumph in an all-new style from a masterful artist. Published by Drawn & Quarterly in 2013.